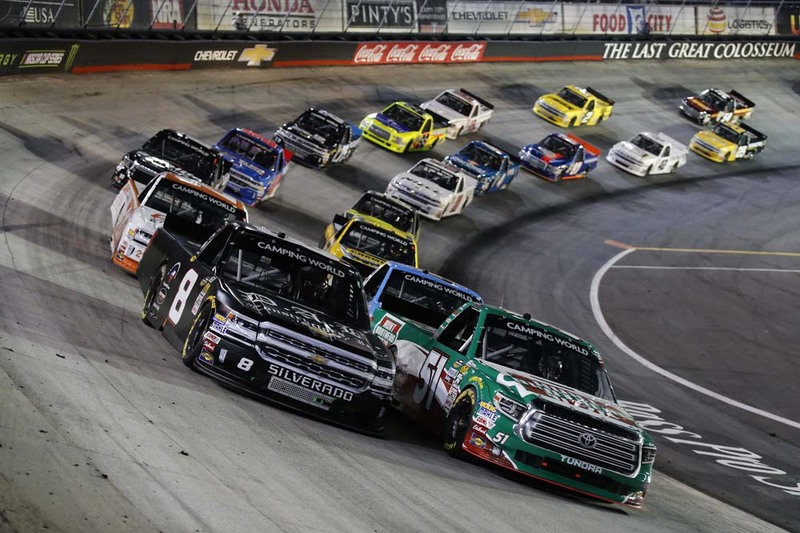 Christopher Bell returned to the NASCAR Camping World Truck Series to fill in for the ailing Harrison Burton Thursday at Bristol Motor Speedway in the No. 51 Hunt Brothers Pizza Tundra. After claiming the pole and leading 31 laps, Bell had his sights set on taking Burton’s truck to Victory Lane. While running third with 36 laps to go a power steering belt broke ending Bell’s chance at the win. Bell won the pole to start on the front row. He led the first 31 laps until he was passed by John Hunter Nemechek on a restart. The truck became loose and he finished the first 55-lap stage in fourth. When the pits opened, Bell came in for four tires and a track bar adjustment. Bell was fifth when the race resumed on lap 67. He fell back a few positions throughout the stage, but finished the second 55-lap stage in fifth. He pitted for four tires and a wedge adjustment to help the handling. Bell was sixth when the final 90-lap stage began. He worked his way up to third with 50 laps to go, but shortly after that radioed to the team he had lost power steering. 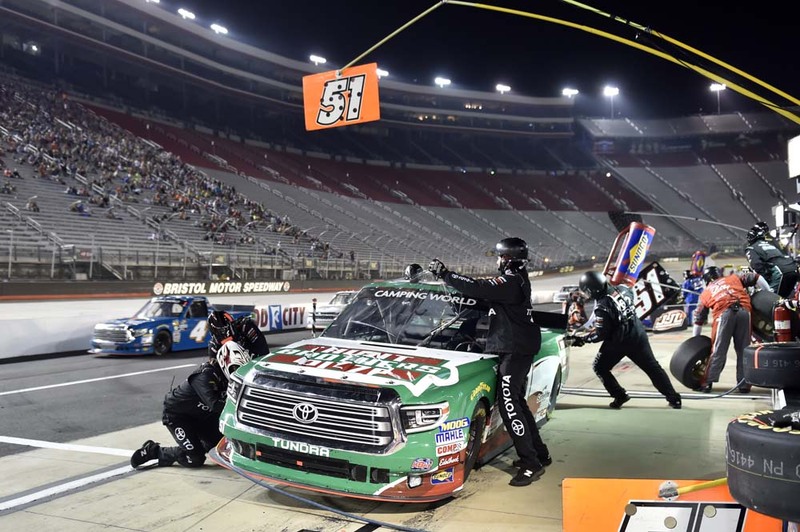 His KBM team was able to change the power steering belt and get Bell back on track, but not before he lost several laps which resulted in a 28th-place finish. 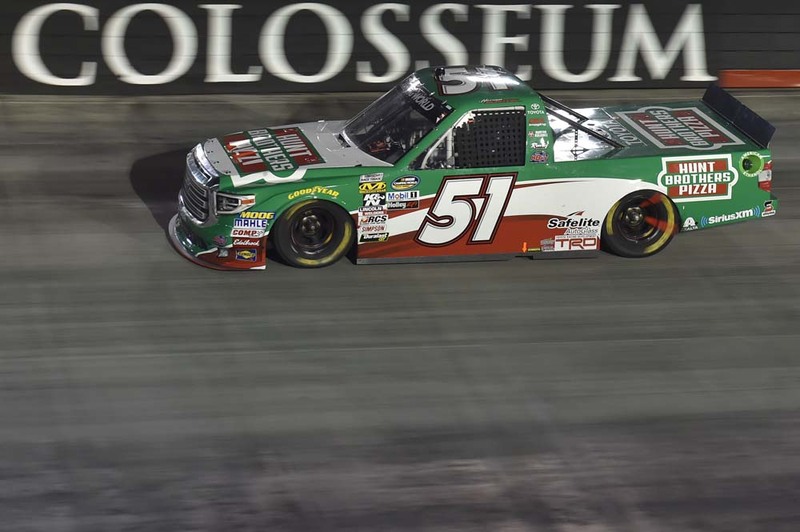 Johnny Sauter won the race followed by Stewart Friesen, John Hunter Nemechek, Parker Klingerman and KBM’s Todd Gilliland rounded out the top-five finishers. The race featured five cautions for a total of 38 laps. There were six lead changes among four drivers. Bell led 31 laps while KBM’s Noah Gragson led seven. The No. 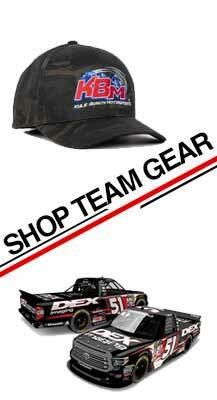 51 team is fourth in the Truck Series Owner’s Championship Standings, 25 points out of first. Harrison Burton will be back behind the wheel of the No. 51 Tundra when racing action resumes north of the border next week on Sunday, Aug. 26 at Canadian Tire Motorsport Park in Bowmanville, Ontario. Live coverage of the race begins at 2:30 p.m. ET on FS1.